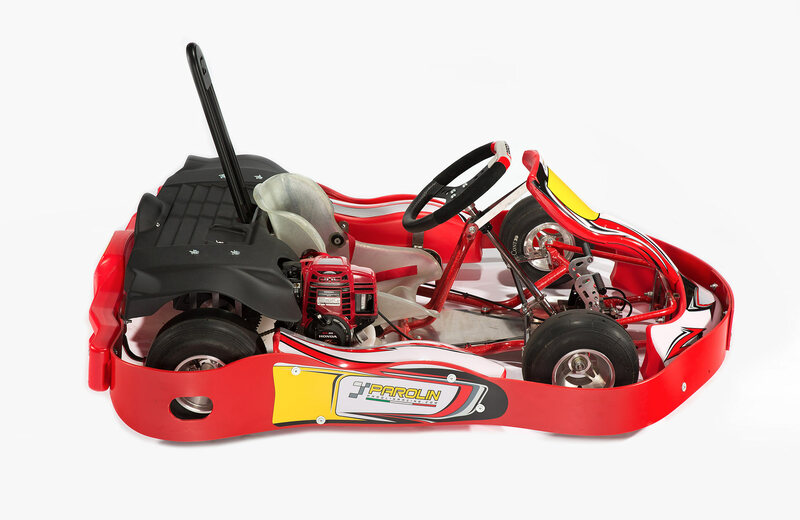 Specifically studied for children, the XT Delfino Kart setup is very simple and easy to handle. 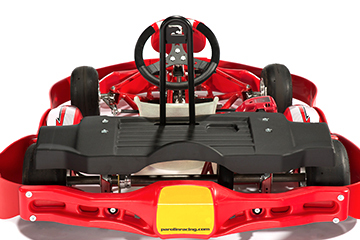 It features a tubular steel chassis, aluminum alloy wheels, disc brake, and Honda GX35 engine. 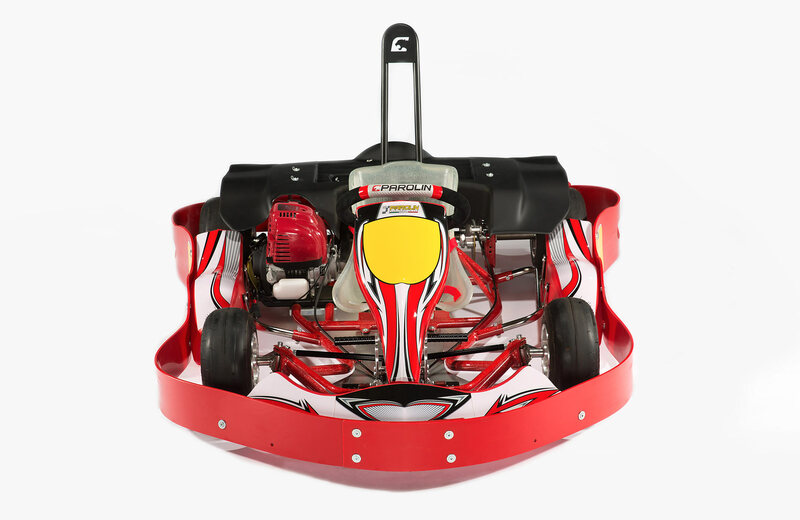 Each chassis is hand built and welded with 25x2 mm steel tubing. 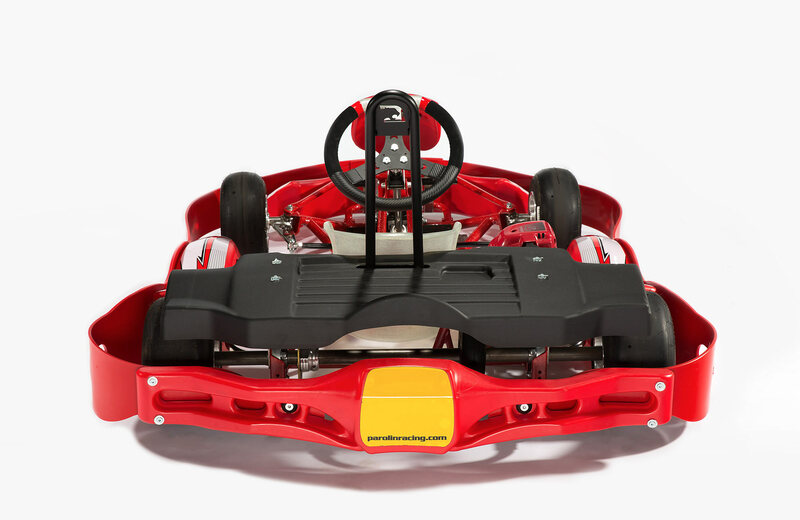 The aluminum allow wheels to combine lightweight with high strength. The disc brake utilizes a steel rotor and a cable operated caliper to ensure reliability and ease of adjustment. 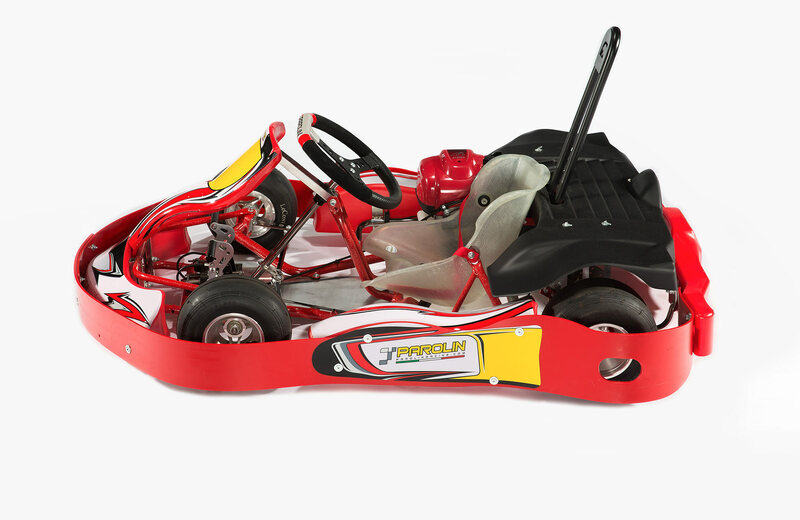 The engine is extremely durable and leads to low maintenance costs. 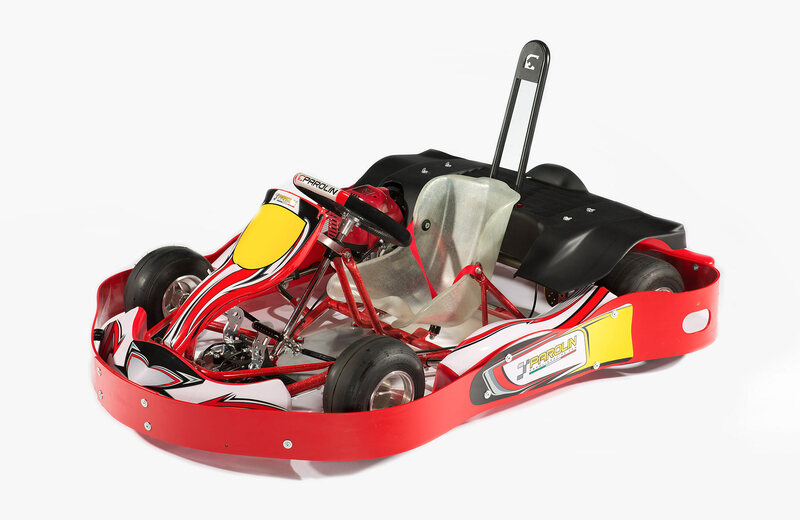 The plastic bodywork by Parolin Racing provides an aerodynamic design and an aesthetically pleasing look. 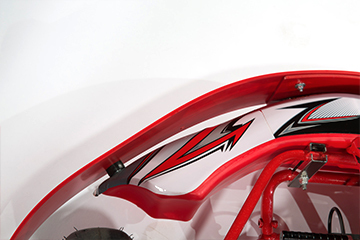 The fairings cover the axle and transmission parts, a safety feature which avoids any type of contact of the moving parts with the driver. The coupling system has been designed for quick dismantling during vehicle maintenance activities. 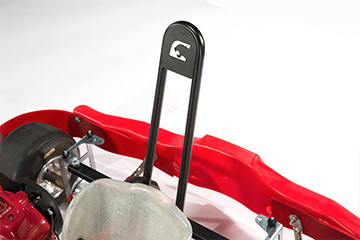 The external fairings provide all-round protection to the kart from all types of contacts.